Economics In Pictures: Did QE increase the Money Supply? Did QE increase the Money Supply? 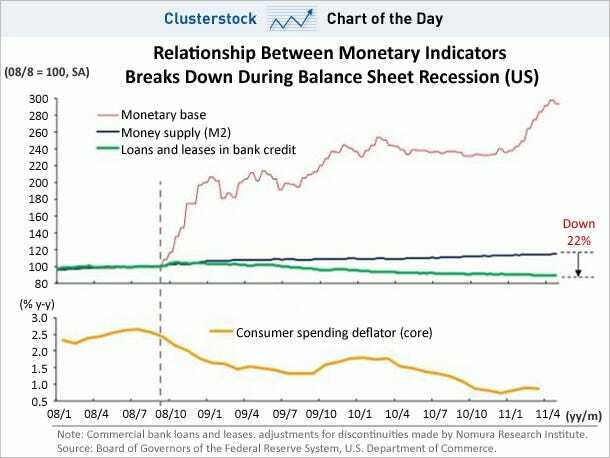 This graph shows that in the United States the relationship between the monetary base and the money supply breaks down during the crisis. In other words, QE barely rose the money supply.